The definition of art has so far been tricky to pin down yet current definitions place their emphasis in the wrong area; on the art or the artist. What are the predominant classifications of art and the problems they bring? One popular definition of art was provided by Oscar Wilde, with him claiming that ‘art is the most intense mode of individualism ever known’. However, this casts the net too narrowly: theatre is accepted as an art form as are films, opera and ballet. Yet these are all collaborative forms of art relying on intense teamwork between many individuals. which was mostly created by his assistants. 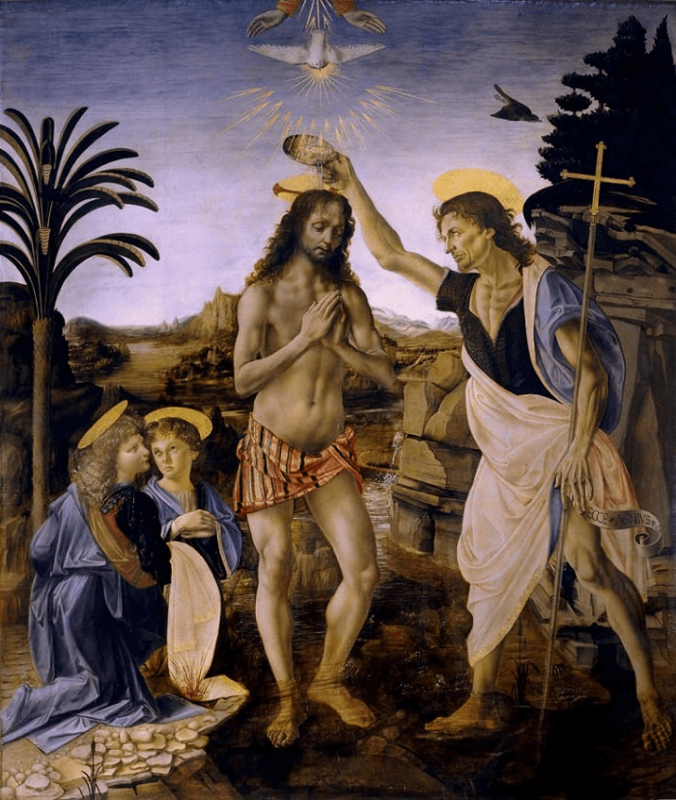 Artwork such as this where multiple contributors collaborate to create the art mean that definitions that focus on a single artist are problematic – few would say the ‘Baptism of Christ’ is not art on account of there being multiple artists. If definitions based on the artist are unsatisfactory then the solution could lie in the artwork itself. Traditionally these definitions have been ascetic, based on beauty. These can suffer from the opposite problem and let in things which are not art. For example, a beautiful sunset is not generally considered art. These definitions also open the can of worms of defining beauty. They also fall down with modern art, which often does not make beauty its aim. 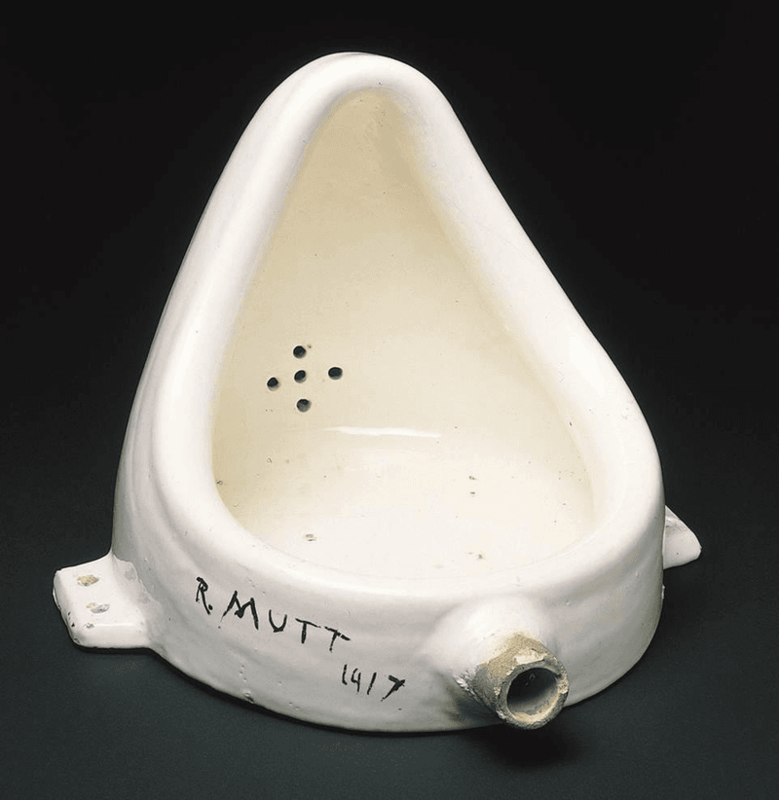 Duchamp professed to trying to find the most unattractive urinal he could when he unveiled his notorious artwork. Other definitions focusing on the artwork have similar problems because of the huge variety of forms which art can take. So, if the answer can’t be found by looking at the artist or the artwork, can it exist at all? As well as an artist and the work itself there is a third and unifying factor to art: the audience. When was the last time you saw some art where there was no audience? I should define what an audience is. For our purposes an audience is a collection of people who intentionally perceive the same thing. Firstly, the audience is made up of multiple people. Someone can’t by themselves declare a lamp post art. Making the requirement for a plural audience weeds out some of the false negatives and positives that always accompany human judgement. An artist needs external validation for their work to be called art, an artist is too involved in the creation to be able to judge their piece afresh. A painting only seen by the artist then burned in private is not art (unless several people read about the burning and view the burning as the art). Secondly, the audience views the art intentionally; if people saw a sunset by accident then it would not be included as art. Does my definition of art as having an audience restrict what it calls art too narrowly then? Well it can account for interpretive dance, Duchamp’s urinal and the Mona Lisa with ease but what about more fringe cases? In 2014 the Wu-Tang Clan released an album that they sold for $2 million to Martin Shkreli. Under my definition, the album itself is not art as only the band and Martin have perceived it, however, the sale of the album would be on account of the large interest that a sale of this type generated. Is this a problem? No – it reasonable to assert that art exists in the mind of the audience due to the many ways in which art can be experienced. This captures how what makes something art can differ from the physical properties of the actual object perceived. It follows from this that if there is no audience then something is not art, which agrees with my definition. Does my definition cast the net too wide and include many things that are not widely viewed as art? One of the most controversial inclusions might be sport. Of course, a schoolboy practising bowling would not be viewed as art as there is no audience, but my definition would certainly include when David Beckham scored a free kick against Greece in the 2002 world cup to the delight of millions of fans. Is this really art? It matches my definition exactly but few conventional definitions. I suppose it comes down to how examples of things that are art are chosen. These defining examples of art are widely said to be art by members of their audience. Then again people also called Beckham’s kick art. They are certainly different people to the usual art ‘experts,’ but this does not invalidate their classification. Why should it? Classifying experts as experts because they have studied traditional Western art rather than football is completely arbitrary. Beneath the surface, there is not a lot of difference between how the Mona Lisa is called art and how a free kick could be called art. Thus, my definition does not cast the net too wide. It would be nice to end there but the definition does raise some questions, first and foremost is whether something with a large audience is ‘more’ art than something with a small audience. Well, no. Few would argue that a small audience prevents something being art. A small fringe play can be called art as can a large West End musical. The definition, ‘art is the audience,’ though offers a solution. The size of the audience does not determine whether it is art, but merely what type of artwork. In the case of a fringe show the audience is small and so it is a small-scale show. In contrast, a West End show that had performed to an audience of 70 million people over the years such as Les Misérables’s could be. What if a painting is destroyed before it is shown is it art (assuming the burning was not intended by the artist)? Well, it can’t not be art as it has the potential to be amazing and get an audience. Then again, it also has the potential to be crap and not get an audience at all. So, we simply don’t know whether the piece is art or not as it did not have the opportunity to be assessed by an audience, and it must be the audience who decides. Art is the audience and that is all. The author for this article is 'The Enlightened Engineer', who studies Engineering at the University of Oxford. His passions include climbing mountains, building aeroplanes and appreciating beauty wherever he finds it. He has produced art for audiences ranging from 3 to 30,000.